Home » Blog » Roofing » Should You Choose Asphalt Shingles or Metal Roofing For Your Home In Lexington, KY? As a homeowner, you have access to a variety of home remodeling ideas. Some of these makeover ideas are easy on the budget and can be easily undone with another small investment, but when it comes to your roof, the expense means most choices are permanent. Should I install asphalt shingles or metal roofing on my home? Which is cheaper? Which one lasts longer? 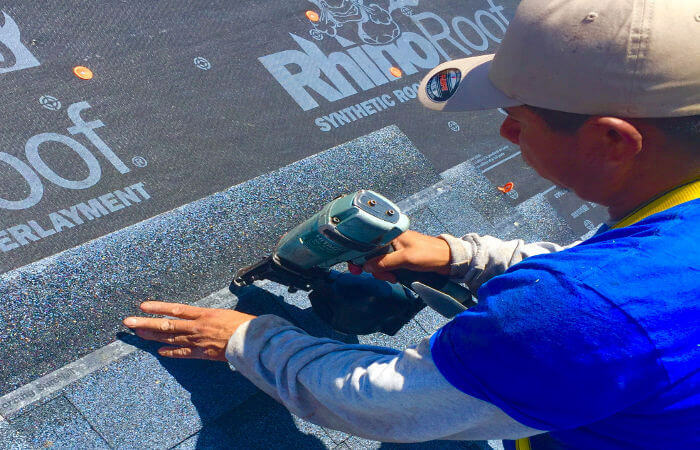 So if you’re trying to decide between installing asphalt shingles or metal for your roof, we’ve put together some benefits on each, along with a few facts to help in your decision making process. One of the more affordable types of all roofing materials. When compared to metal roofing material, asphalt shingles will generally cost less per square installed. Asphalt shingles come in a variety of colors. We install Owens Corning, whom provides 15 industry leading colors by popularity. They come with outstanding warranties, depending on who you have install them. Gaining traction and popularity in the market is metal roofing. As the myths associated with this material are declining, it’s becoming a more desired product for homeowners to install. Benefit – Insurance Rate Discount? Although we can’t guarantee what your insurance carrier will offer, we have had heard of cases where replacing shingles with metal has saved the homeowner almost 30% off their premium. While asphalt still provides more diversity in colors, metal roofing colors are on the rise. Metal roofs will generally come with a longer warranty when compared to traditionally installed asphalt shingles. The following are approximate costs for asphalt shingles and metal roof installations. They are based on an average sized home. As you can see, metal roofing installation costs can be almost double the upfront investment, but offer approximately 27% savings over the total life expectancy. The above examples are based on industry averages. Each home and installation application will vary, which can cause the investment to fluctuate. None of the above examples factor in upgraded premium products or additional warranty benefits sold by the manufacture. Will You Sell or Are You Staying? Deciding if you will sell your home or live in it forever are factors you’ll want to consider when choosing between shingles or metal. Now, if you don’t plan on selling your home for another 10 plus years, choosing what you prefer would be the way to go. On the other hand, if you plan to sell sooner, you may want to consider what the real estate market calls for. To help with this, we have asked the professional advice of Melinda Duncan, a real estate agent in Lexington, KY.
What is the most desired type of roofing application sought out by home buyers in the Lexington, KY market? 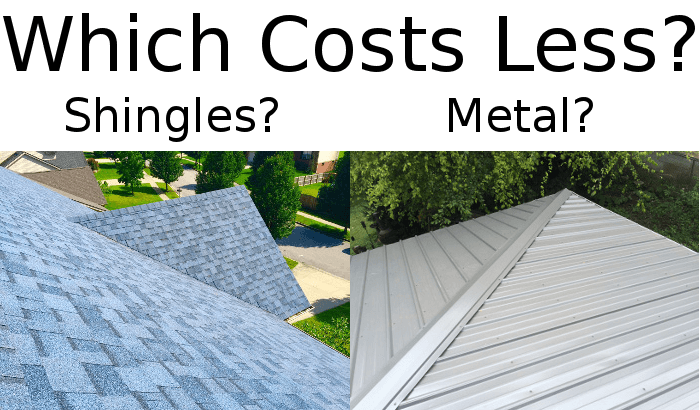 Asphalt shingles or metal roofing? & Why? Asphalt shingles seem to be the number one drawn interest from potential home buyers. I feel this is because we are still a traditional town. The buyers in the area seem to associate metal roofs with rural property and therefore they generally appreciate the appeal that asphalt shingles provide. 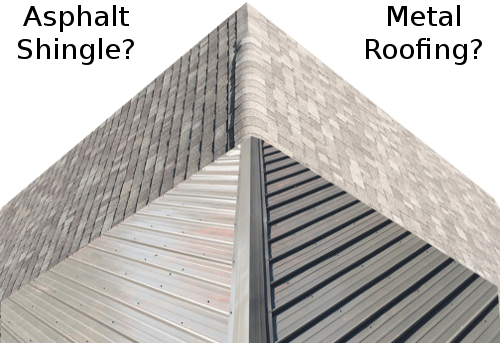 What are the advantages and disadvantages on both, asphalt shingles and metal roofing for a homeowner who wants to sell their home? Asphalt Disadvantage – The only possible disadvantage I could reference regarding asphalt shingles would be in the case of a rural property. Maybe if the property has a veranda or other rural design quality, it would probably be more conducive to a metal roof due to it’s nature. Asphalt Advantage – If selling a home within the city limits of Lexington, asphalt shingles would be more inline with our town’s traditional lifestyle and appeal more to the potential buyer. Metal Disadvantage – 95% of potential buyers I work with typically value and seek out asphalt shingles, specifically dimensional styles. This makes metal roofing a disadvantage when appealing to the masses. 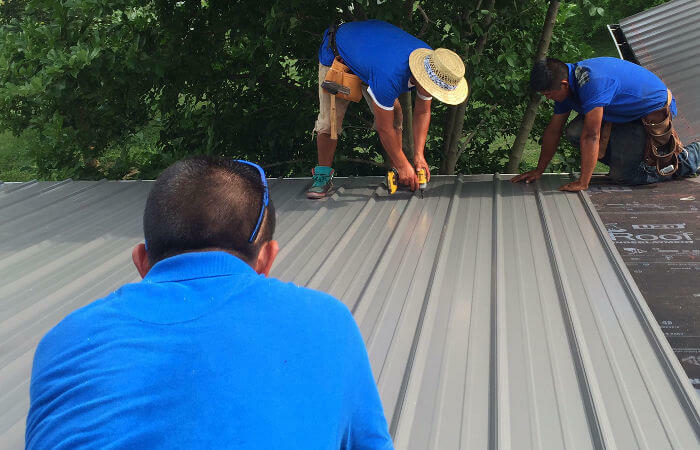 Metal Advantage – Alternatively, the advantage of metal roofing for someone who’s selling their home is when it appeals to an analytical person who appreciates the long term life expectancy, providing that buyer is also OK with the aesthetics. For most homeowners, beyond the investment, is being happy with the appearance of their home. Both, shingles and metal will provide excellent protection for your home. So, after you’ve considered what you can afford, here are some additional tips on choosing between asphalt shingles or metal roofing. Are you in an HOA? Homeowner Associations will often have restrictions or requirements that deem what you’re allowed to have as your roofing material. You may have to stay within a specific color range, style and even a type, whether that be metal or shingles. Checking in to this first will save you time and help narrow your decision. Decide if you plan to live in your home long term or if you plan to sell your home in the near future. If selling, check with your realtor and ask what the current market trends are and how your choice may affect the value and efficiency of selling your home. See if you’ll qualify for an insurance discount. It may be worth while to check with your insurance carrier to determine if a certain grade of shingle or metal material will offer any type of premium discount. This may be a factor in determining budgets when you’re narrowing down your selection. Choose an installer you trust. No matter which type of material you select, it’s only as good as the contractor who installs it. There are great warranties available on the market, but only a few installers can offer additional benefits as a result of their qualifications. At Lexington Blue, we are an Owens Corning Preferred Contractor. Our work ethic along with our training and proven ability to perform quality installations has given us this status. We can offer additional warranties over and above other roofers in Lexington, KY. When you select us, you get peace of mind, additional benefits and quality workmanship that lasts.